Miss Winn's secretary informs Miss Berry that Miss Winn sent a box of clothing to the Berry Schools. 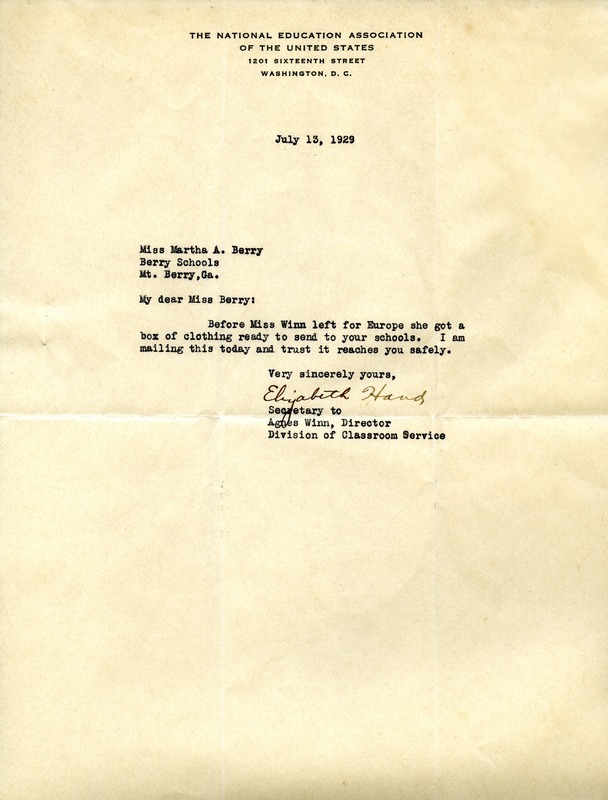 Elizabeth Haud, “Letter to Martha Berry from Elizabeth Huad.” Martha Berry Digital Archive. Eds. Schlitz, Stephanie A., Meg Ratliff, Rachel Renaud, et al. Mount Berry: Berry College, 2013. accessed April 22, 2019, https://mbda.berry.edu/items/show/11415.